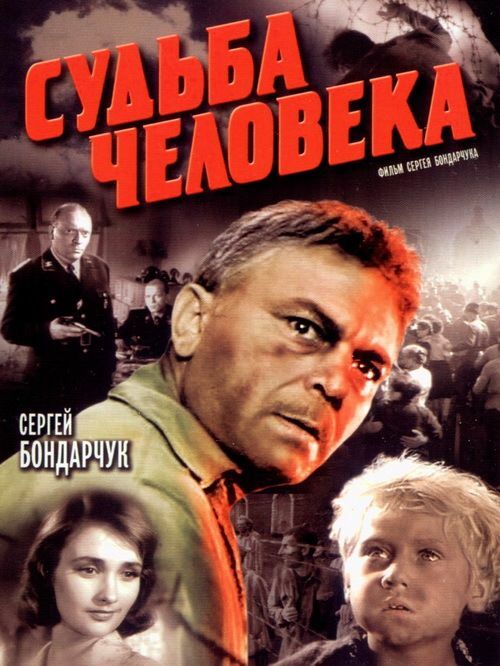 The film begins in the Soviet Union in spring of 1946, as truck driver Andrei Sokolov (Bondarchuk) and his young son travel along a road in the country and run into a man Sokolov recognizes as a fellow military driver. Sokolov begins to tell the story of his experiences upon returning from the Russian Civil War and the famine of 1922. A flashback reveals Andrei building a house in Kuban, where he meets and falls in love with his future wife Irina. Soon the pair are married and have a son, Anatoly (nicknamed Tolyushka), and two daughters. Andrei leads a happy family life for 17 years, until the Second World War. Read more on Wikipedia.